I’ve long since been of the belief that cholesterol levels are a symtpom of the bodies reaction to life, both chronic and acute, and fluctuate for a reason. Thyroid levels are also a reaction to life, a reflection of how our body manages metabolism and we see them change for a reason. Since it’s a long and complicated paper that I expect few people to actually read, the basic conclusion is that if your thyroid function is down/malfunctioning/hindered you’ll see your lipid profile “get worse” which is often seen as a raising of measured cholesterol, particularly LDL, the so called “bad” cholesterol. Therefore we should be conscious of looking to the thyroid when we notice a poor lipid profile screening. So then does bad thyroid function cause high cholesterol? Maybe. But it’s more likely the two body systems are reacting simultaneously to what the organism is going through. The body, as an organism, regulates everything to survive and get along in the environment and situations we put it in. If it gets challenged it responds. If it gets supported, nourished and less challenged it responds in different ways. Everything we see outwardly (including behavior) and from lab measurements are manifestations of the body’s attempts to survive and adapt. When the body experiences stress and doesn’t have the resources and nutrients to deal with that demand it makes adjustments to adapt. One of these is through thyroid regulation. As the manager of resources in the body, the thyroid, if instructed by the brain, will tune down metabolism to free up resources. If this happens enough or on a regular basis, the body lowers the metabolic needs and becomes very conservative. It achieves this by lowering thyroid function which in turn stops stimulating the body to rev its engine. One of the other physiological systems that works in unison is cholesterol. As a reactionary and adaptive system, when under stress the body typically produces more cholesterol to support many things, including stress hormone production and the immune system. One of the other roles cholesterol plays is in regeneration, repair and growth of the body. If the body has lowered it’s metabolic output to adapt to stress (aka a lack of resources) it will not use as much cholesterol to fuel proliferative work. The end result is that under times of stress, the body produces and releases more cholesterol to deal with the challenge but if the stress doesn’t wain quickly and allow recovery, all the excess cholesterol floating around won’t get absorbed by the cells, which have responded to the lack of thyroid production to halt reproduction, repair and growth. The body leaves cholesterol in the blood stream to deal with the stress. If the stress doesn’t end the body keeps thyroid low and cholesterol never gets cleared from the blood stream. 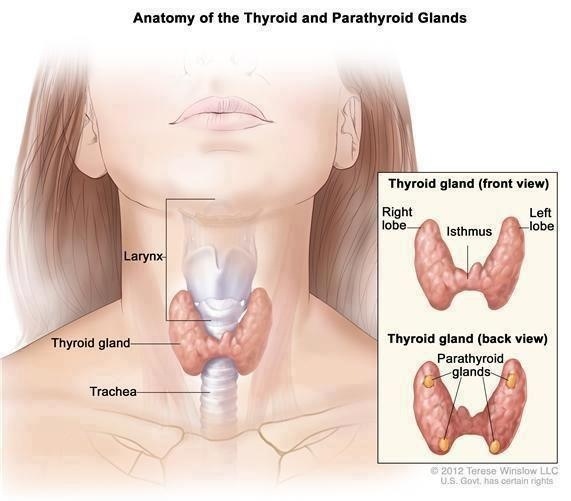 Did low thyroid cause high cholesterol? Yes and no. Low thyroid levels does signal the cells of the body to not absorb cholesterol, which means there are higher levels in the blood. But without stress in the first place, there wouldn’t be as much cholesterol produced and thyroid production wouldn’t be turned down. So yes, thyroid contributes to high cholesterol levels but through the avenue of the stress response.